Nokia launched a massive UGC campaign, Nokia Tune Mashup, on all their social handles, spanning over a fortnight, where they asked fans to recreate the iconic Nokia tune using anything they like. Nokia Tune Mashup began on 21 June 2017, which also happened to be World Music Day, with an intrigue post. It was followed by the whacky brand videos. Since the iconic tune, enjoys such phenomenal brand equity, HMD Global decided to make it relevant to gen-millennial and announce Nokia’s much-awaited comeback in the smartphone market, by giving users a chance to unite and recreate the Nokia tune. From musical instruments to stationery which one can find on their table, anything was allowed. Once the instruments were decided, all they had to do was record an entry and post in on Facebook using #NokiaTuneMashup and tag Nokia’s Facebook page. 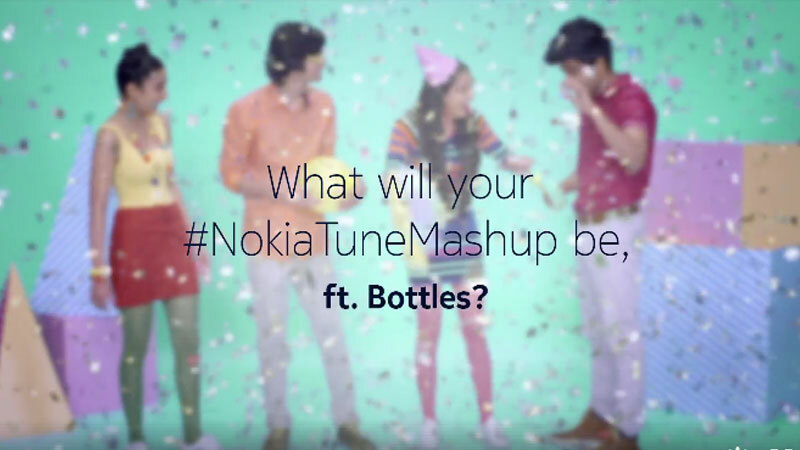 The best versions would then stand a chance to be a part of the Ultimate NokiaTune Mash-up, produced by Ehsaan & Loy. Along the course of the campaign, the brand received entries from musicians such as Shirley Setia, Darshan Raval, DJ Chetas and Aditi Singh Sharma. Even the Olympic medalist P V Sindhu gave it a go! A video by Ehsaan and Loy encouraged users to send in their entries. A few of these shortlisted entries have already made their way to the teaser released by Ehsaan and Loy. With just a little longer left for the release of the Ultimate Nokia Tune Mashup the excitement is running high at the brand’s end. What are your views on the Nokia campaign?